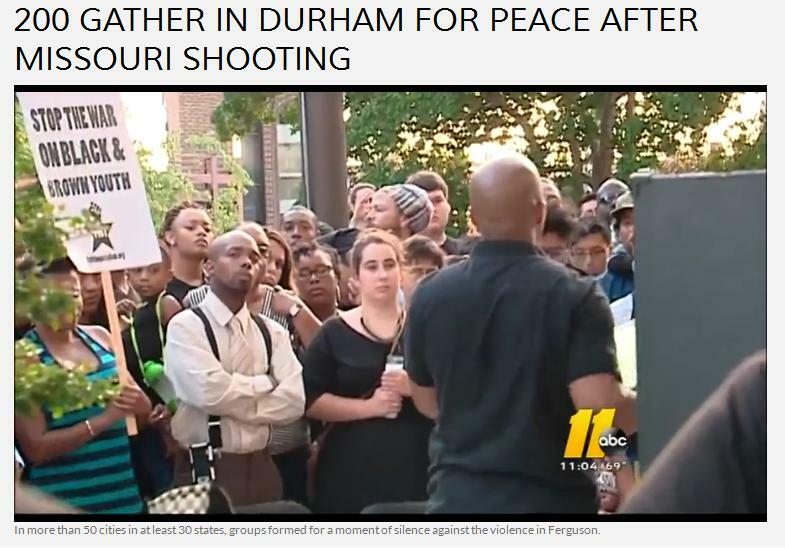 On Thursday, August 14, 2014, a rally was held in Durham, NC concerning the Michael Brown Shooting in Ferguson, Mo. Our liberal Media was all over it. They are reporting the ‘DIVERSITY’ of the crowd and all sorts of “Feel Good” & “Kumbayah” moments. “ABOUT – FIST (Fight Imperialism – Stand Together) is a national group of young revolutionaries committed to fighting racism, sexism, oppression of lesbian, gay, bi and trans people, and exploitation of the working class, all of which result from imperialism and capitalism. We believe that the only way to achieve true liberation for all peoples throughout the world is through socialism. About Us – Workers World Party fights for a socialist society—where the wealth is socially owned and production is planned to satisfy human need. That’s also what workers around the world, from Cuba to China, have been struggling for. The U.S. rulers have spent trillions of our tax dollars trying to stop them in a global class struggle. WWP promotes international working-class solidarity, the right of every nation to sovereignty and self-determination, and militant resistance at home to imperialist interventions and wars. But wait, there’s MORE —– Then there is THIS GUY. 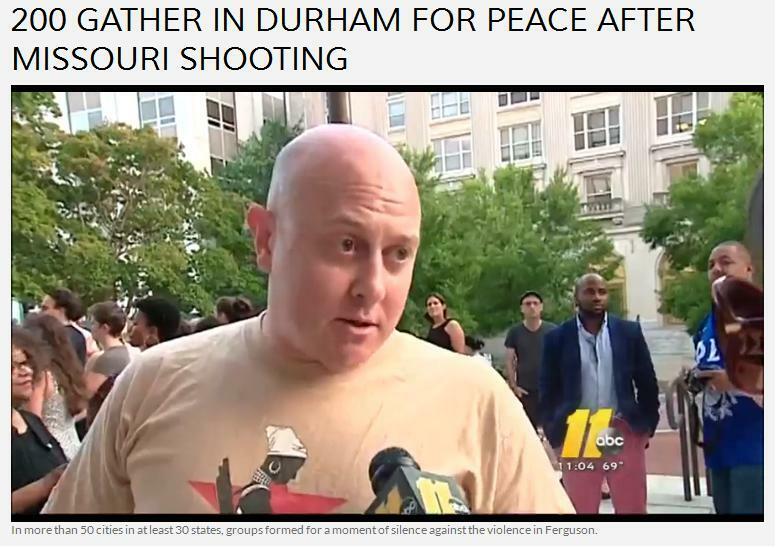 Guy in the video from WTVD. Your TAX DOLLARS pay him to Indoctrinate your Children at UNC Chapel Hill. I wish I could figure out what is on HIS T-Shirt? A woman with an ‘Assault Weapon’ maybe? Could it fit right in with that “Militant Resistance at home to Imperialist interventions” as mention above? I report, YOU DECIDE! Dr. Perucci’s teaching and research address performance as a complex of power and as a means of resistance, subversion, opposition and rupture. His work draws on theories and embodied practices of social movements (especially labor, civil rights, anarchist, and anti-capitalist), the aesthetics and organization of experimental theatre, and avant-garde visual and performing arts. And then we have this gent mentioned in WRAL’s coverage. Respectfully submitted by SilenceDogood2010 this Fifteenth Day of August in the Year of our Lord, Two Thousand and Fourteen. Note: This is a Proposed Resolution that has been sent to “SOME” of our elected officials here in NC. 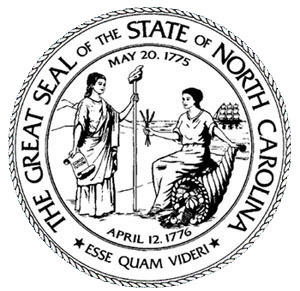 It has NOT been passed nor has it been voted on by the NC General Assembly. NC CONSTITUTION, ARTICLE XIII (CONVENTIONS; CONSTITUTIONAL AMENDMENT AND REVISION), Section 4. Revision or Amendment by Legislative Initiation. Whereas, there is a clear distinction between the wording “All Men are Created Equal” that is expressed in the Declaration of Independence and the term “equality” as defined by the laws of nature. Jefferson, as the author of the Declaration, meant that all people are equal in having a shared human nature. The laws that faithfully guide, explain, and predict nature and its creations define our humanity, our biology, our purpose, and our limitations. ARTICLE VI (SUFFRAGE AND ELIGIBILITY TO OFFICE), Section 7. Oath. 2) To submit a written Public Apology for his refusal to perform the duties of the Attorney General, including a retraction of his previous statement and a written assurance that he will continue to enforce the Marriage Amendment to the North Carolina Constitution. Respectfully submitted by SilenceDogood2010 this Fourth Day of August in the Year of our Lord, Two Thousand and Fourteen.